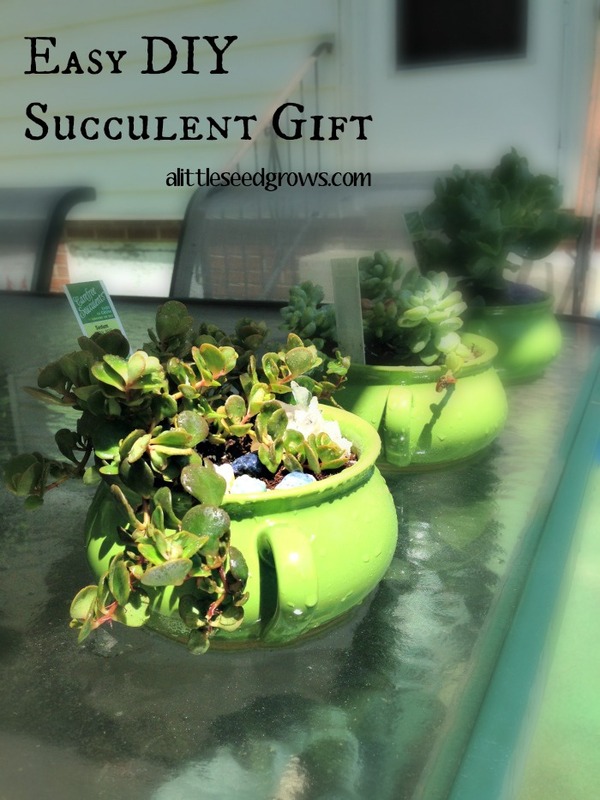 Last month, I was inspired by Kelly Christine Studios to create a potted succulent gift for my step-mother's birthday. It was such a fun and easy project that I had to share with all of you. I got these at a local shop Gardener's Outpost. David knows the owner of the shop, but it was my first trip. 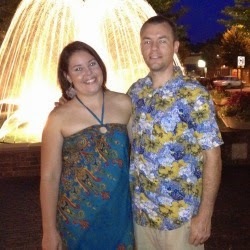 We stopped in a few minutes before they were about to close; I plan to head back soon. Since I didn't have quite the container that I wanted on hand, I headed to World Market to see what I could find. I thought I would use a teapot, but these little soup crocks were on sale, so that's what came home with me. David already had a collection of crystals and minerals that he let me rummage through and use as ornaments in the pots. My step-mom has a pretty significant cactus and succulent garden at home, so we didn't put any drainage in the bottom of these containers. If you or your giftee tends to water a lot, you need to drill some holes in your container. Depending on what your container is made of, you made need a special drill bit. This was the succulent we gave her for her birthday. 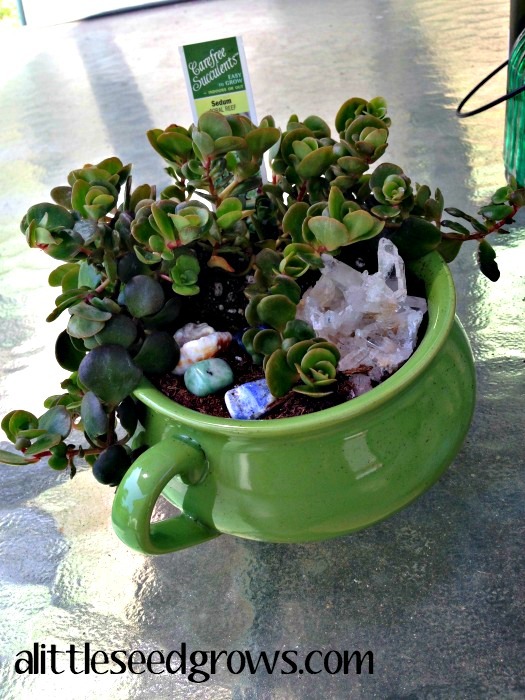 I simply re-potted the succulents in the crocks with potting soil and selected some pretty stones to add some color. Then, I misted them well with water and let them sit in the sunshine on the back patio. 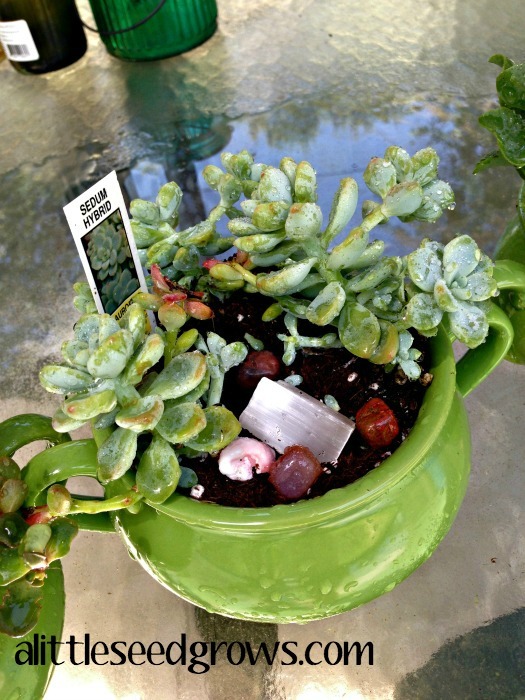 Succulents are hardy little plants that are easy for even the blackest thumb to keep alive. The trick is to pretty much leave them alone. It's much easier to kill them from overwatering than not enough water. They also need sun and lots of air to breathe; the other two I potted have been living on my patio table under the umbrella. When the weather gets frosty this fall, I'll move them to a sunny windowsill. 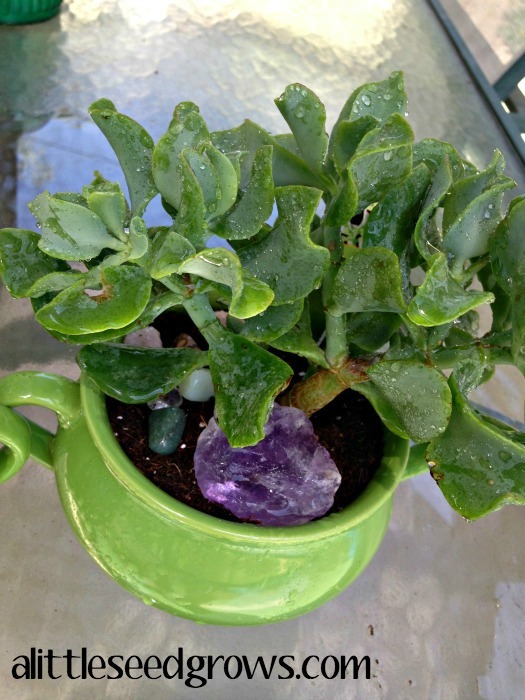 You can read more about taking care of succulents in this Sunset article. 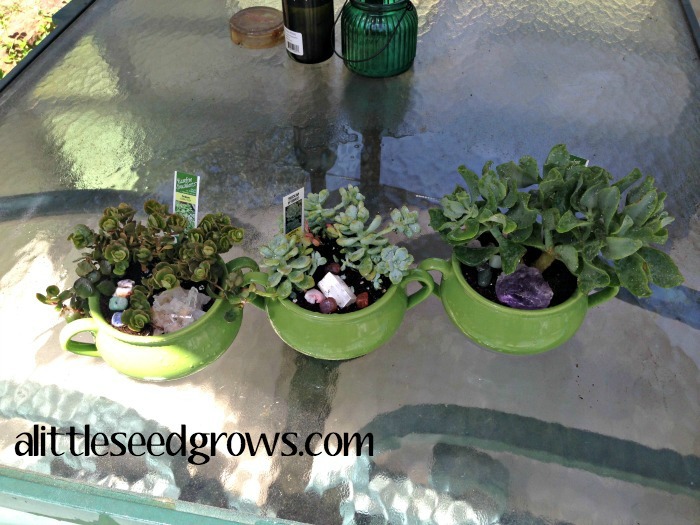 What are your favorite succulent planter ideas? How would you make this project yours? 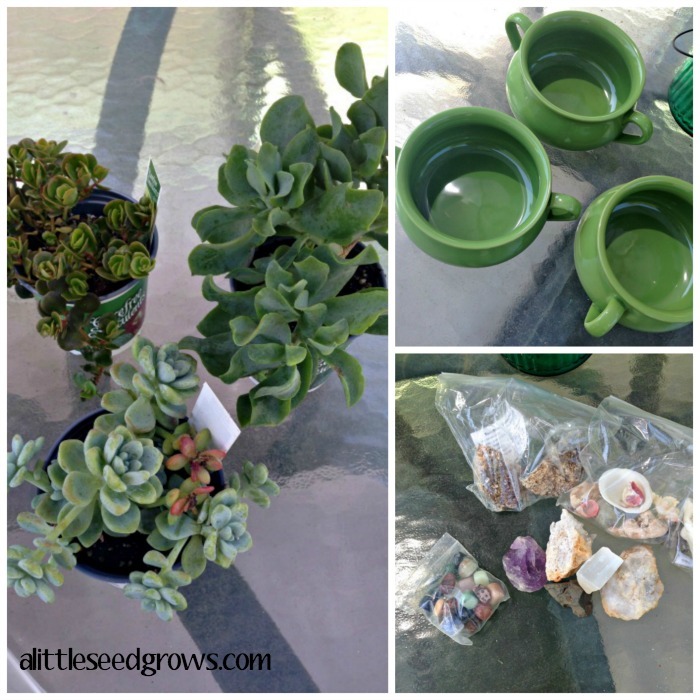 Do you give plants as gifts?